Mint (Mistical Infusion Near Taste). It’s true! Just to smell it is enough to make your mouth water. Now tell me you can’t taste it! Mint some how lost it’s crowning place in common day USA. Versatile and beneficial, it should be used and is prolifically common near any household. 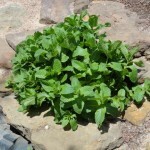 Mint can deter mice, snakes, insects. It requires lots of sunlight and grows prolifically in moist drainage laden areas with lots of humus in the soil. You know, everything the pests mentioned above love to live in. Potting the plant is a great solution for the above said benefits. And let’s not forget some of the others. Dried to make tea or used in aromatic pillow stuffers. 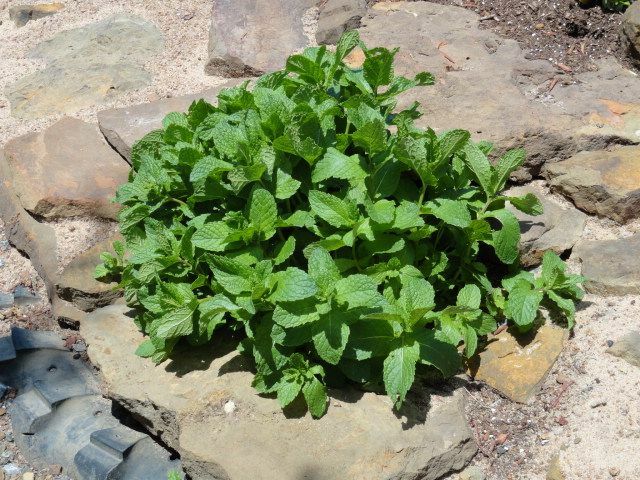 Fresh mint used as a garnish, along with any dessert or rubbed over skin to be a bug repellant, anyone should have fun growing some. Purchase some mint from the fresh herb section of your local grocery store. Put it in a glass of water near a sunny window. Change the water if it becomes discolored while waiting for roots to start growing. When the roots are one-inch long, plant in good quality potting soil. Feed with a water based fertilizer occasionally to keep it robust. Enjoy! To get first hand knowledge about growing herbs and other tips CLICK HERE to make your reservation at Terrapin Peak Bed, Breakfast & Beyond near Lake Tenkiller. Simply, with Chef “What’s His Name?”, tips that you can use! Genny and Chef “What’s His Name?” vacationed at Lake Tenkiller for more than 15 years. At their special Lake Tenkiller lodging location they enjoying sharing their home, life stories and love of the lake with their guests. This entry was posted in Growing & using Herbs, Lake Tenkiller Lodging and tagged Herbs, Lake Tenkiller lodging, Spring by Genny. Bookmark the permalink.